The Criterion Collection has satiated cinephiliac desires once again – this superb version of the legendary anti-sci-fi film wipes previous desultory versions, both recent cinema and HE releases, off planet. Three men meet in a bar. One of them is a Stalker (Kajdanovsky) a guide with supposed psychic powers that allow him to journey safely across the Zone, an eerie, once-industrial area that has been devastated by a disaster of an unknown kind. The Zone is dangerous because it shapeshifts; it is also attractive because, allegedly, at its heart is The Room, a place where dreams come true. The Stalker leads saturnine Professor (Grinko) and narcissistic Poet (Solonitsyn) into the Zone, where they come up against their own conflicting desires and the depressive magical powers of the place. 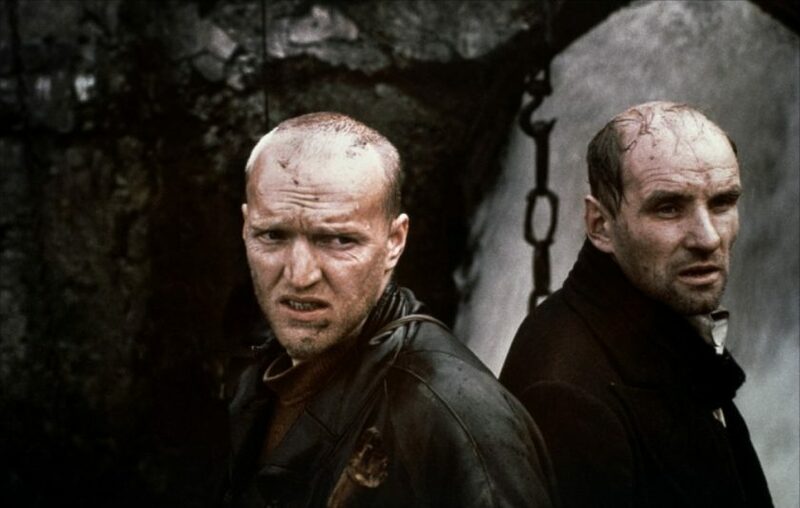 Probably the most influential arthouse film of Generation X, Stalker must be seen – and this is your best home entertainment opportunity ever. Despite being hugely influential, it is still utterly unique and unlike anything else you are likely to ever see, in part because it’s a perfect blend of sci-fi and melancholic rumination. Stalker is the epitome of eerie soul-searching. It’s a legend for many reasons, and not just because it’s brilliant, immersive film making. It’s seen as uncanny in its premonitions: the Chernobyl meltdown reduced a large part of Ukraine to Zone-like desolation just seven years after the film came out; the date of director Tarkovsky’s own death appears on a torn-out diary page in one of the iconic pans across and through stagnant water. Stalker is also one of the great cursed films: an earthquake interrrupted pre-production; it was shot twice – the first, more expensive version (that apparently looked more like Tarkovsky’s Solaris from 1972) was sabotaged during printing of the negative and then destroyed; Tarkovsky, his wife and actor Solonitsyn all died from a rare form of bronchial cancer that may have resulted from exposure to industrial pollutants while filming near chemical plants in Estonia. From a release perspective, it’s always been difficult to get Stalker right. The colour is so paradoxical: grimy but intense; sepia and sharp, corroded colour, the colours of industrial pollution and disease but also vivid lichen and damp-grass greens. Previous versions have either lacked contrast or looked too dingy. The Criterion Collection version gets it right, I think. The contrasts are clear and bright – they shine! The colours are deeper, more intense, more differentiating of details. The images have a tangible depth of field they’ve never had before. Throw away your old copies and buy this edition. Stalker is out on Blu-ray as part of The Criterion Collection on 24 July 2017.